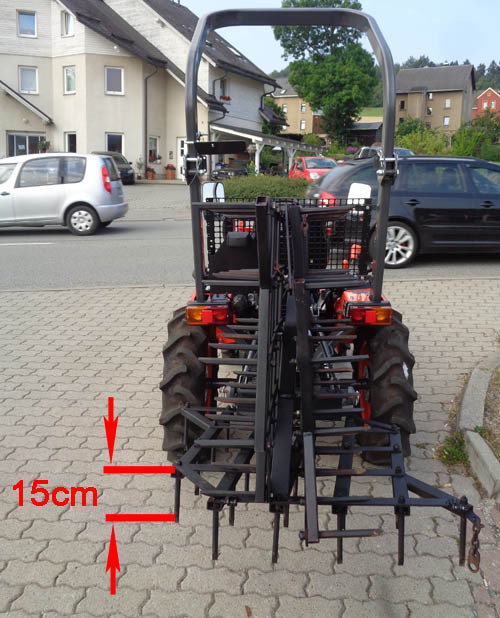 699,00 EUR 19 % VAT incl. 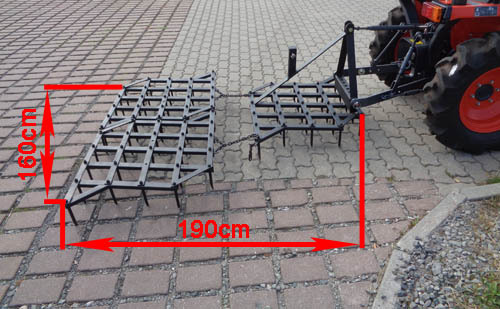 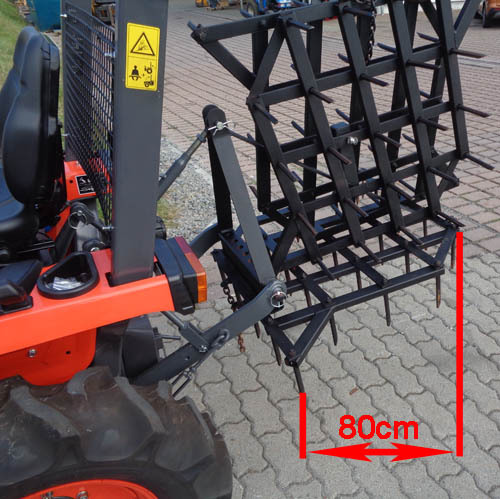 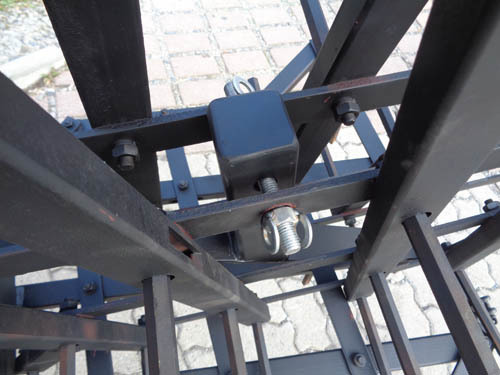 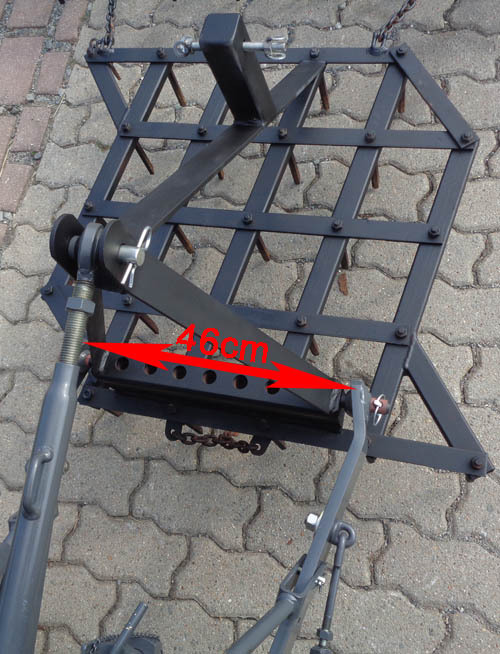 The robust 2-piece attachment harrow is foldable by hand and is driven in 3 points. 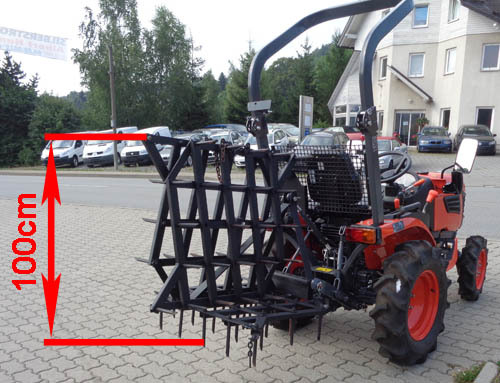 The tractor should have at least 18 hp, but it can also be driven with a smaller tractor, if you decoupled the rear part. 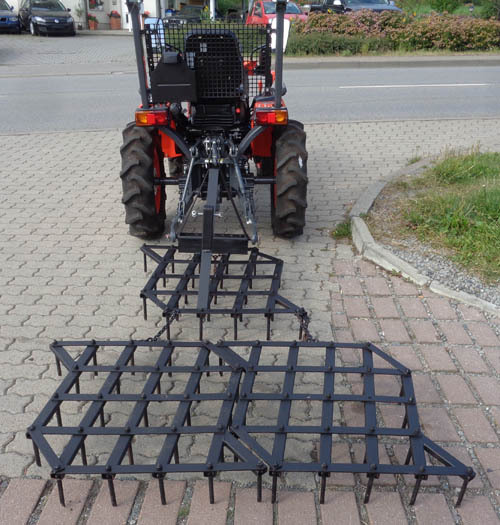 On heavy soils, loading the harrow with weights (stones or other weights) makes sense. 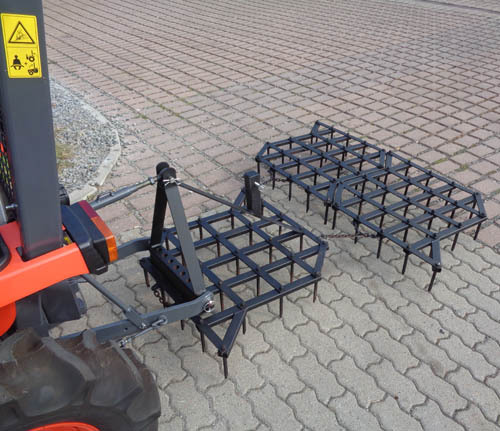 This allows the harrow to penetrate the soil and loosen and crumble the top layer. 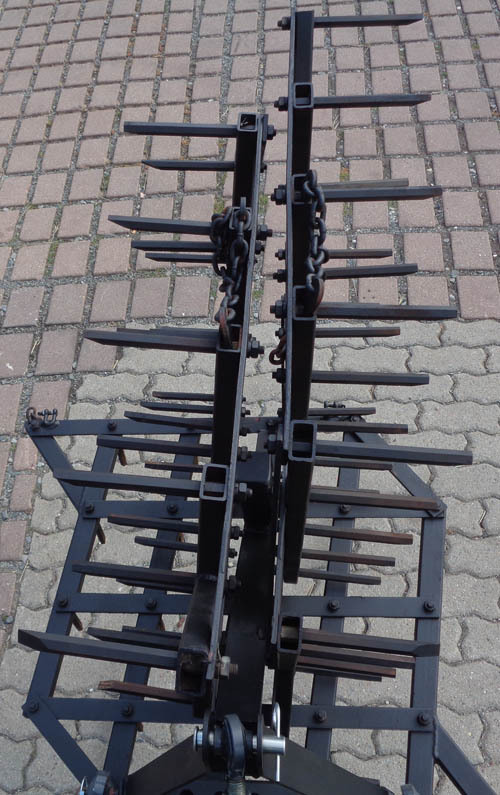 With the harrow, plant remains can be mechanically grouted from the field and mixed well. 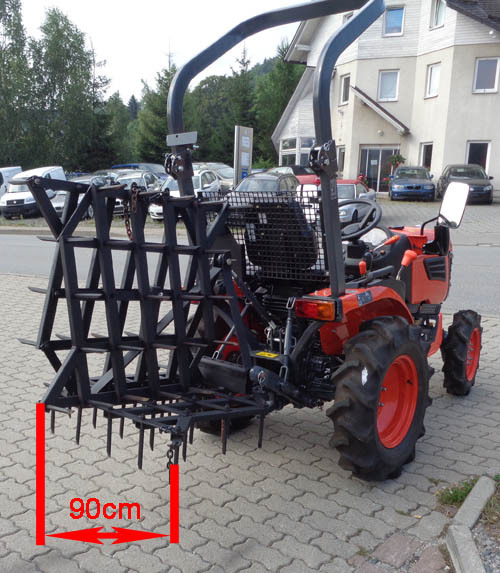 The hardened steel tines have a high stability.